Colorado is a beautiful state. Even the towns that dot the Eastern Plains have their own sort of nostalgic charm. However, there are a few towns that really sparkle when blanketed with a fresh layer of snow. Here are the towns that I consider to be three of the most picturesque winter towns in Colorado. Coloradans have a long time love affair with Crested Butte. And while it’s not quite the same quaint place it once was – according to Zillow the median home price is $995,000 – it still retains an authenticity that residents and visitors love. Picturesque Crested Butte, Colorado, photo by Trent Bona. Crested Butte sits on the border of where ranch land merges with the mountains. The town, which is located a short (free) bus ride from Crested Butte Mountain Resort, is full of colorful Victorian buildings, many of which house fantastic restaurants. The town was incorporated in 1880, and had a population at that time of 400. In addition, approximately 1000 miners lived in the surrounding area. One of Crested Buttes’ most popular winter festivals, Al Johnson Memorial Uphill/Downhill Telemark Ski Race, is a celebration of Al Johnson, a mail carrier who traveled between the mining communities in the Crested Butte area in the late 1800s. Today, around 200 skiers participate in this race that starts near the top of Mt. Crested Butte, climbs six hundred vertical feet and then plunges twelve hundred feet through extreme terrain. For those who don’t want to tackle this difficult race, there’s a town-wide party on the same weekend in March. 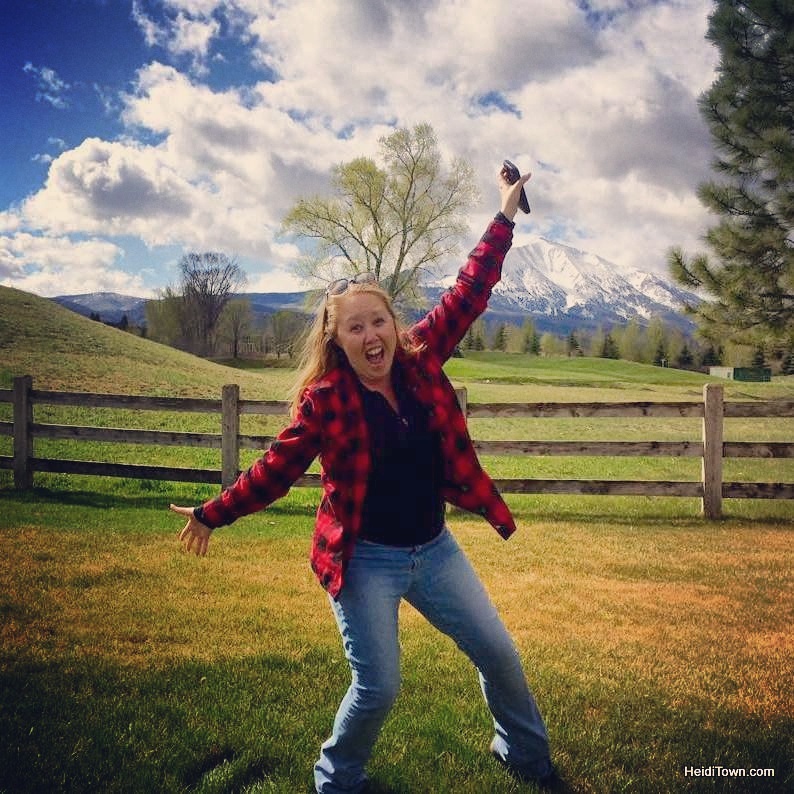 Coloradans love Breckenridge and what’s not to love? Just a hop and a skip from Denver, it makes for a wonderful weekend getaway destination at any time of year, but it’s especially lively during the winter when there’s always something going on. Picturesque Breckenridge. 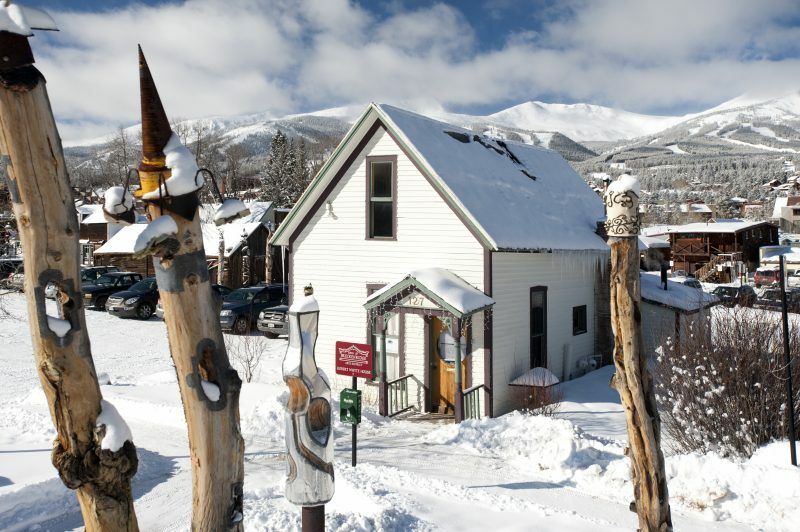 The Breckenridge Arts District, photo by Bob Winsett. The town’s combination of Victorian buildings, modern hotel resorts and world renowned skiing, make it a fantastic place for a winter family vacation. Breckenridge is a nice place to visit when traveling with a group because there’s a little something for everyone. Does Aunt Mary love to shop? There are lots of locally owned stores to browse. Does mom love spa treatments? From The Spa at Beaver Run to Harmony Health Massage just off Main Street, Breckenridge has embraced the wellness trend. Does cousin Jeff love cross country skiing? The Breckenridge Nordic Center is tops. One of Breckenridge’s longest running winter events, Ullr Festival, is a fantastic time to visit. 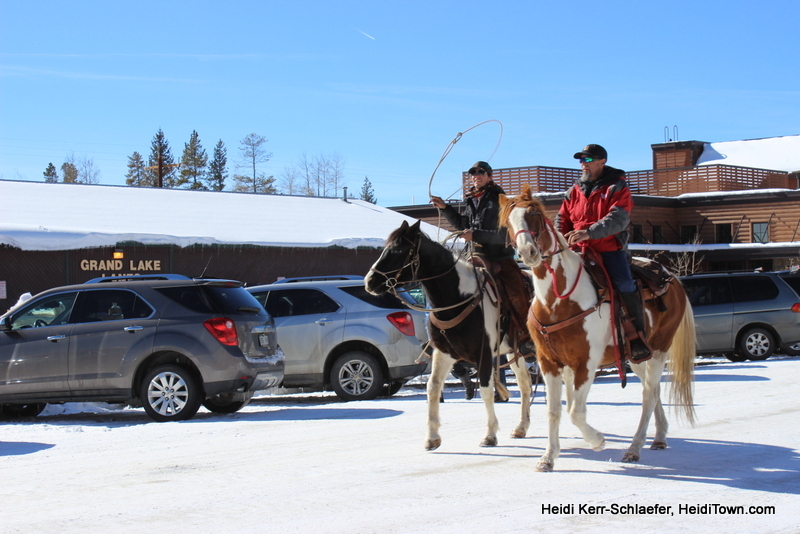 Occurring annually in mid-January, this is an entertaining way to experience Breckenridge, and is a favorite festival of the locals. As longtime HeidiTown readers know, it’s also one of my favorite winter festivals in Colorado. With its wooden sidewalks and friendly residents, Grand Lake is a throwback to a slower place and time. And while there’s no ski resort, there’s plenty of winter fun to be had here. From a laid back ice fishing expedition to a hair-raising snowmobile outing, Grand Lake is a true winter wonderland. If you can do it in the snow, you can do it in Grand Lake. Picturesque Grand Lake, Colorado, during Winter Carnival. While there are no big resort hotels here, there are unique accommodations in Grand Lake. Western Riviera Lakeside Lodging & Events has several different types of accommodations available from cabins to lakefront homes. During a wintry visit to Grand Lake, you’ll want to belly up to a plate of barbecue at Sagebrush BBQ & Grill on Grand Avenue. And don’t be surprised to see snowmobiles in the parking spots in front of this restaurant, after all, it’s a preferred mode of transportation for many locals during the winter. Winter Carnival, which takes place annually in February, is the perfect time to visit Grand Lake. There are activities all day long, including a bed race down Grand Avenue, and an evening of fireworks. 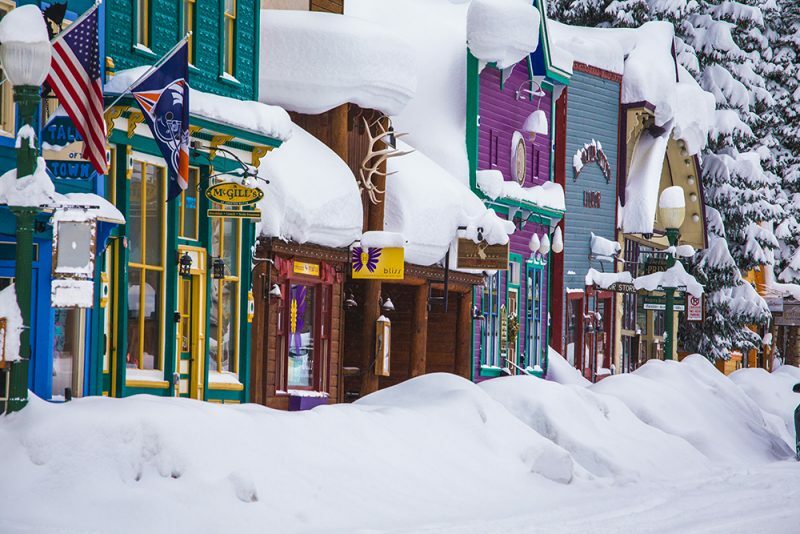 There are many picturesque winter towns in Colorado. If you have a favorite, feel free to leave a comment.